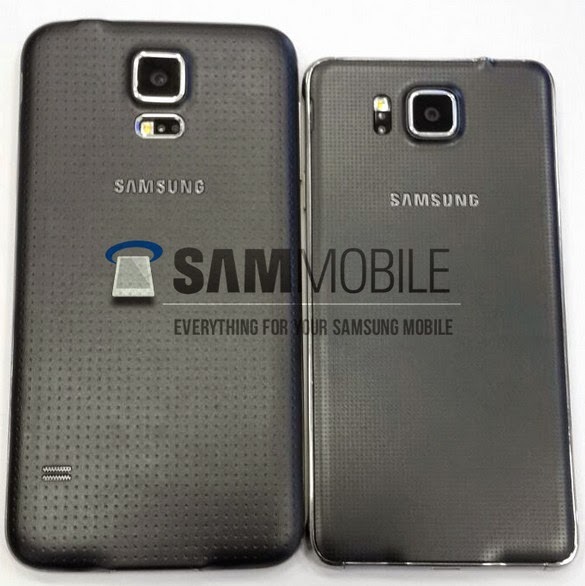 Ever since Samsung Galaxy S5 hit the market earlier this year, rumors about a metal-clad version of the 2014 flagship release by the Korean Giant have been going around the web. 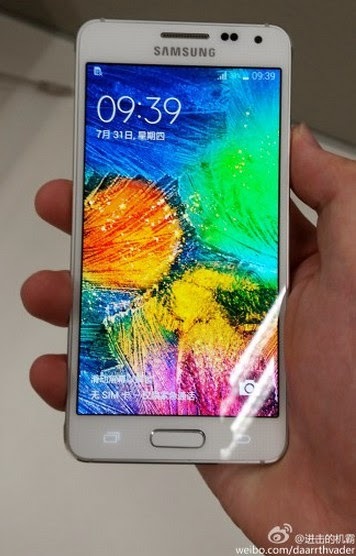 Well, today, we are finally seeing actual photos of the much talked about device, the Samsung Galaxy Alpha - previously known as Samsung Galaxy S5 Prime and Samsung Galaxy F.
Prior to it being seen in the flesh in China and Vietnam, numerous renders and concept shots of the handset have been uploaded online. As it turns out, none of those were accurate. 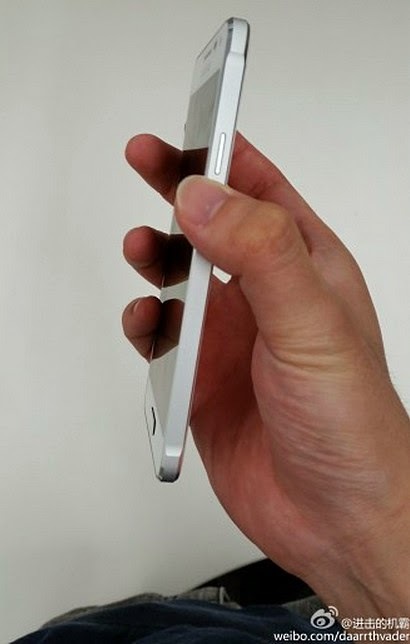 Instead of having a full metal back plate like what was shown in the renders, Samsung Galaxy Alpha appears to have a polycarbonate back plate complemented by a thick aluminum accent running down its sides -- reminiscent of Xiaomi Mi4's svelte construction. 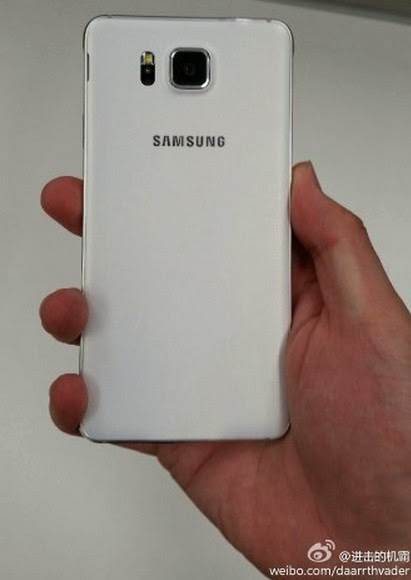 Despite the rather sparse use of metal, this design improvement is highly welcome considering that this is the first time - from the get go - that we're seeing that luxurious material on any Samsung handset's shell. Specs-wise, this sleek flagship variant features a 4.7-inch (~320 ppi) 1280 x 720 SuperAMOLED HD display (which suggest that it was made to go head to head with the upcoming iPhone 6 4.7-inch version), a 12 MegaPixel autofocus camera with LED flash and ISOCELL sensor, 2.1 MegaPixel front cam, a NanoSIM slot, removable 1,850 mAh Li-Ion battery pack, and 4G LTE mobile connectivity support. 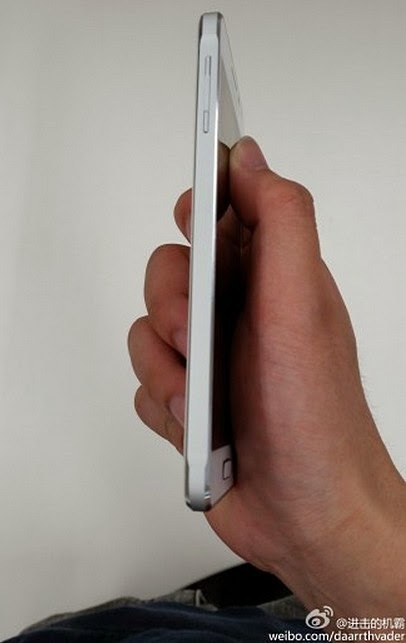 Like the regular SGS5, the metal-clad variant will also come replete with a Heart Rate Monitor and a Finger Scanner. 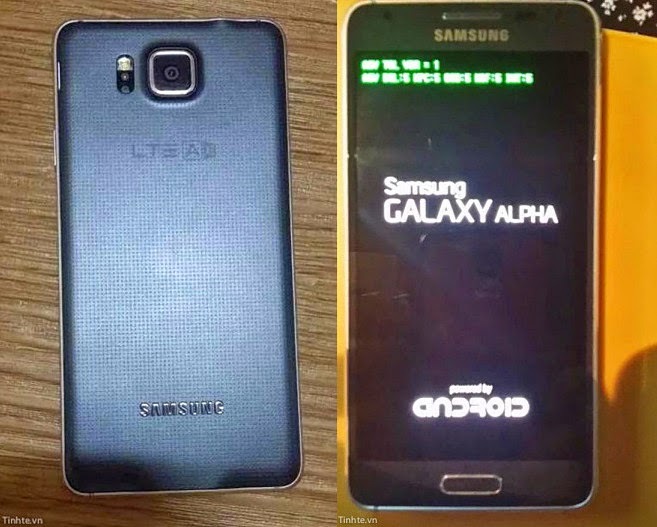 Under the hood, Samsung Galaxy Alpha runs Android 4.4 KitKat skinned by the latest verson of TouchWiz UI with the Korean Giant's new Exynos 5433 SoC, which is said to be more powerful than Qualcomm Snapdragon 805. The new chipset is complemented by 2GB of RAM and 32 GB of internal storage that sadly is not expandable as the handset lacks a microSD card slot. In Europe, Samsung Galaxy Alpha 32 GB is now up for pre-order and has an official suggested retail price of £549 or roughly Php 40,650 with current conversion and before taxes. In comparison, Samsung Galaxy S5 had a price tag of Php 34,990 when it was launched in the Philippines last April 3, 2014.